Jim Justice goes back to the Republican Party he only left two years ago. Now we know the nature of the “big news” the president indicated he’d be announcing at an event in West Virginia tonight. America’s most marginally Democratic governor, Jim Justice, is officially becoming a Republican. 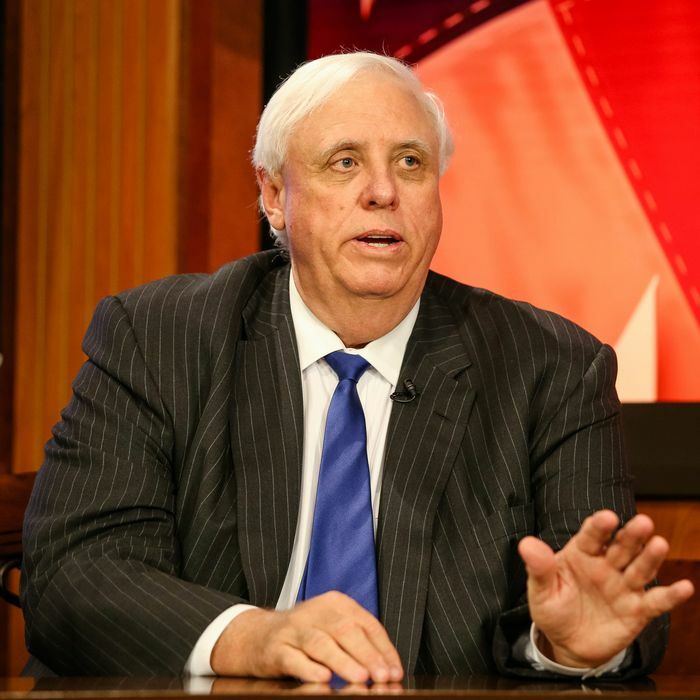 You have to figure the party switch came as something of a surprise to West Virginians, since the state GOP was attacking Justice as recently as this morning. His own staff wasn’t told about it either. But in the longer run, it wasn’t that surprising at all. During his successful 2016 campaign, Justice went out of his way to advertise his antipathy for his party’s national ticket, his friendship with the Trump family, and his background as a coal-company owner. He was actually a registered Republican until 2015. And he’s the state’s sole billionaire. None of this suggests someone who hums “Happy Days Are Here Again” when he’s alone. His party switch is a bit anticlimactic, too. West Virginia stopped being one of the last states full of ticket-splitters who voted Democratic at the local level and Republican nationally in 2014, when Republicans made massive gains and took over both chambers of the state legislature. Nationally, the switch gives Republicans their 26th “trifecta” — states where they control the governorship and both state legislative chambers. But the trifecta doesn’t change a whole lot, since Justice lacks any real veto power over the legislature to begin with (overriding vetoes can be done with simple legislative majorities). He’s also the 34th GOP governor, which equals the record number of Republican governors set in 1922. That number is almost sure decline soon, perhaps this year (Democrats are heavily favored in New Jersey and slightly favored in Virginia), and certainly in 2018, when Republicans will have to defend 26 of the 36 governorships at stake in a midterm election where the president’s party almost always loses ground. What the switch really accomplishes is to make Senator Joe Manchin (who endorsed Justice last year, a courtesy that probably will not be reciprocated in 2018) more isolated going into his reelection year. As of last month, though, Morning Consult showed Manchin’s approval/disapproval ratio as looking quite good, at 57/31, and even in West Virginia, a midterm year isn’t likely to be as much of a cakewalk for the White House party as a presidential year. But Trump can enjoy his little surprise for at least an evening in one of his very strongest states.